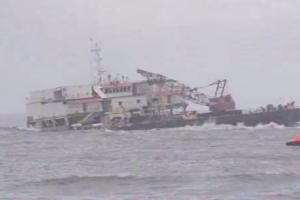 The dredging barge Ibis partially sank, resting the bottom, in the Arabian Sea on 200 meters from the coast of Mangaluru in Karnataka, India. Indian Coast Guard has rescued all 27 personnel from the flooded barge, as the first four people were evacuated already yesterday. The rescue operation was abandoned at night because of strong winds and heavy swell in the area, but the vessel ICGS Amartya remained at the scene to monitor the situation and assist in case of emergency. At first light, the rescue operation resumed and the remaining people were evacuated. There were no reported injuries and no water pollution. The abandoned barge remained with list of 30 degrees and continue flooding close to the coast. 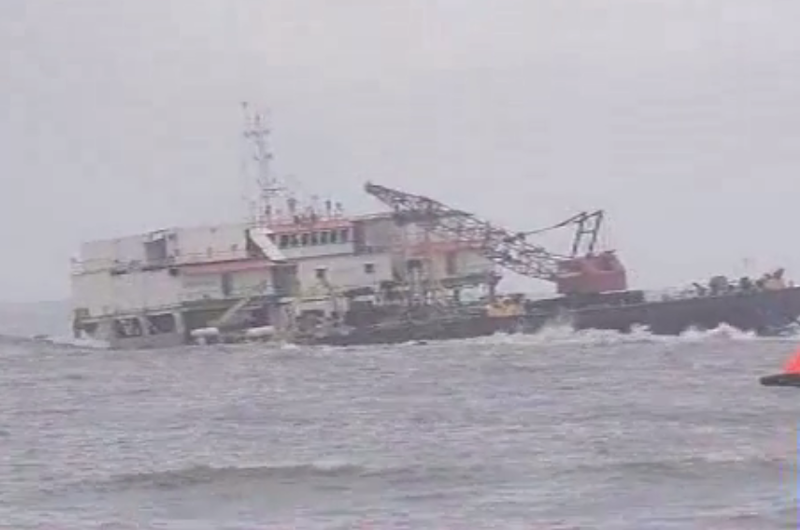 Later during the day the vessel partially sank, resting the bottom. The salvage will be considered after weather improves. The local authorities initiated investigation for the root cause of the accident. The area is under monitoring for oil leak and water pollution. The dredging barge Ibis (IMO: 8209212) has length of 65.50 m, beam of 32.00 m and maximum draft of 2.40 m. The deadweight of the barge is 2,600 DWT and the gross tonnage is 2,964 GRT.